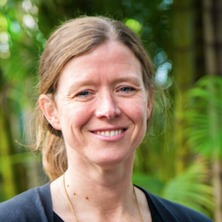 Kim Peters gained a Masters in Organisational Psychology and a Ph.D. in Social Psychology at the University of Melbourne, and is a Lecturer in Organisational Psychology at The University of Queensland. Kim's work focuses on the cognitive and motivational determinants of effective communication and leadership and she has worked closely with many organisations in Australia and internationally (e.g., QLD Department of Justice, Department of Foreign Affairs and Trade, the Royal Marines and the Royal College of Surgeons) to design workplaces that are motivating and effective. Her research has been published in top journals in the discipline, including the Journal of Management, Journal of Personality and Social Psychology and Psychological Bulletin. Kim's has worked closely with a wide range of organisations to deliver on positive workplace outcomes. An example of this work is that which Kim (with her collaborator, Michelle Ryan) conducted in collaboration with the Royal College of Surgeons (supported by an Economic and Social Research Council grant) to encourage women to pursue a career in surgery. Based on their research that showed that one of the factors that discouraged women (and some men) from pursuing a career in surgery was a perception that they did not fit in with the highly "macho" surgical culture. To counter this perception, Kim and Michelle designed a documentary that highlighted the diversity of those who go on to succeed in surgery – i.e., women and men who bring a range of different but valuable attributes to their surgical work. You can see the documentary here: womeninsurgeryresearch.wordpress.com. This resource has been highly impactful, attracting more than 30,000 unique visitors from around the world. Peters, Kim, Haslam, S. Alexander, Ryan, Michelle K. and Steffens, Niklas K. (2015). To lead, ASPIRe: Building organic organizational identity. In Sabine Otten, Karen van der Zee and Marilynn B. Brewer (Ed. ), Towards inclusive organizations: Determinants of successful diversity management at work (pp. 87-107) New York, United States: Psychology Press. Kashima, Yoshihisa, Bratanova, Boyka and Peters, Kim (2012). Balancing the stability and change: a neo-diffusionist perspective on cultural dynamics of socially transformative ideas. In Brady Wagoner, Eric Jensen and Julian A. Oldmeadow (Ed. ), Culture and social change: transforming society through the power of ideas (pp. 125-144) Charlotte, NC United States: Information Age Publishing. Morton, Thomas A., Wright, Ruth G., Peters, Kim, Reynolds, Katherine J. and Haslam, S. Alexander (2012). Social identity and the dynamics of organizational communication. In Howard Giles (Ed. ), The handbook of intergroup communication (pp. 319-330) New York, United States: Taylor and Francis. Peters, Kim, Haslam, S. Alexander, Ryan, Michelle K. and Steffens, Niklas K. (2015) To lead, ASPIRe Building organic organizational identity. Towards Inclusive Organizations: Determinants of Successful Diversity Management At Work, 87-107. The role models who sustain medical women’s career engagement: who do they need to be, and what do they need to do?